The Aerospace Corporation provides specialized ongoing learning opportunities–not just for our employees—but also for our customers, both government and civilian. 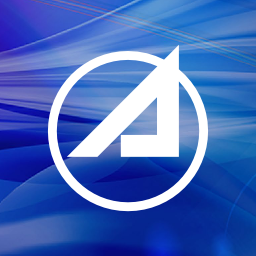 As part of our commitment to lifelong learning and service to our clients, The Aerospace Corporation offers classes and courses through Aerospace University (AU) that are also open to our customer base. The courses are designed and taught by AU staff, senior Aerospace technical experts, or Aerospace managers with extensive cross-program knowledge and experience. If you’d like to enroll in a course, you can review the Customer Course Schedule, then apply for an account before registering for an individual class. The mission of Aerospace University is to promote excellence in individual and corporate performance through continual learning and knowledge sharing. By making professional development an integral part of the corporate culture, AU helps employees deliver maximum value to customers as they work to assure space mission success. AU’s educational programs include technical education, business and leadership development, and computing skills instruction. The technical curriculum addresses core competencies in the application of space technology and covers a wide range of topics in space systems architecting, acquisition, and engineering, as well as the technologies and engineering disciplines associated with space missions and systems. Government customers are also invited to take advantage of technical class offerings. Onsite classrooms and computer laboratories are complemented by a range of distance-learning applications designed to bring instruction to students when and where they can most efficiently use it.